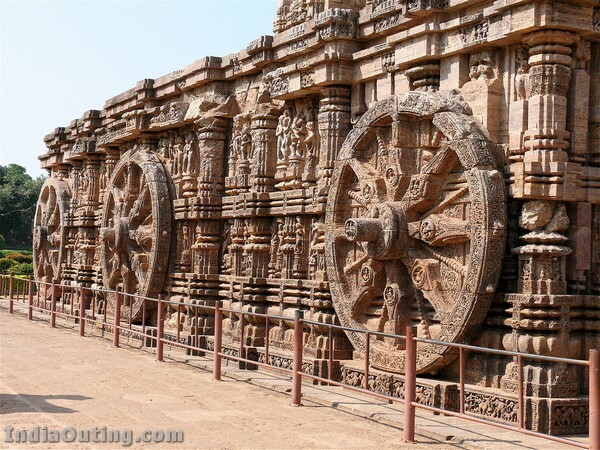 Konark or Konarak is a temple town near Puri in the state of Orissa, south of Kolkata in India. It is most famous for its Sun temple. The magnificent Sun Temple at Konark is the culmination of Orissan temple architecture, and one of the most stunning monuments of religious architecture in the world. The massive structure, now in ruins, sits in solitary splendour surrounded by drifting sand. Today it is located two kilometers from the sea, but originally the ocean came almost up to its base. Until fairly recent times, in fact, the temple was close enough to the shore to be used as a navigational point by European sailors, who referred to it as the ‘Black Pagoda’. 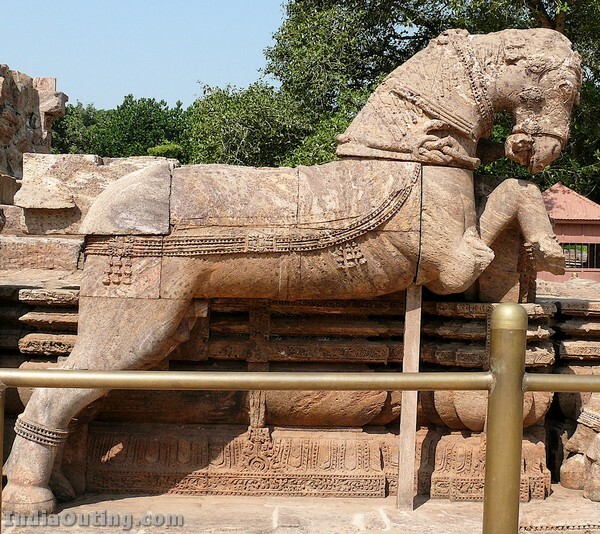 Built by King Narasimhadeva in the thirteenth century, the entire temple was designed in the shape of a colossal chariot, carrying the sun god, Surya, across the heavens. 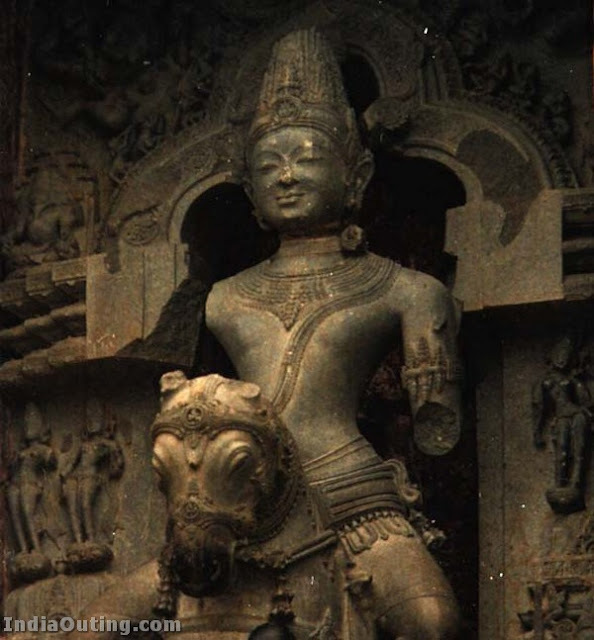 Surya has been a popular deity in India since the Vedic period. 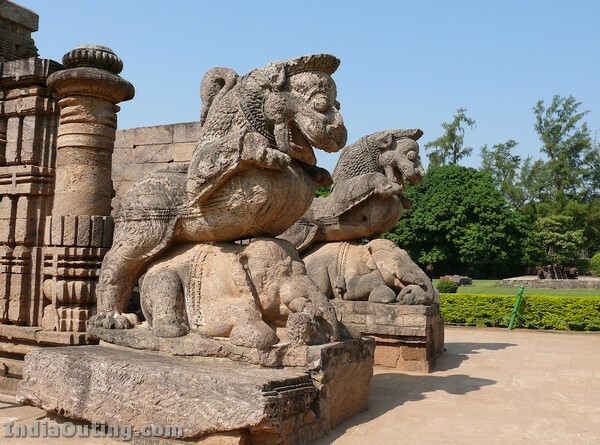 It is opined by some historians that, due to the early death of the king Langula Narasimha Dev, builder of the Konarak temple, the construction of the temple had been left in a haphazard state. As a result of this, the incomplete structure eventually collapsed. But this view is unsupported by historical data. The records of Madala Panji of Puri Jagannath temple, as well as from some copper plates dated 1278 A.D., state that the king Langula Narasimha Dev reigned till 1282. 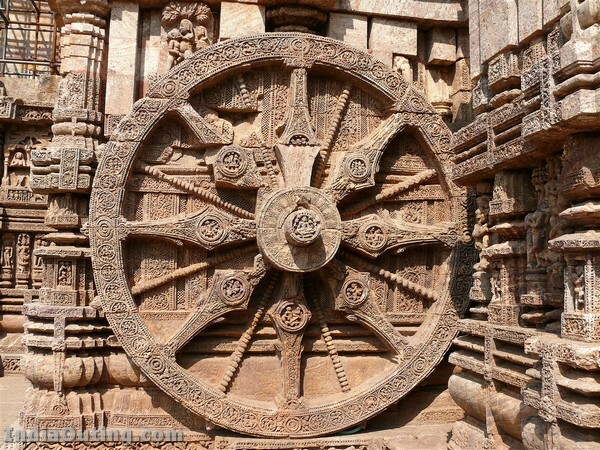 Many historians are of the opinion that the construction of the Konark temple was completed between 1253 and 1260 A.D. So the argument that the temple collapsed due to non-completion during construction is not tenable. 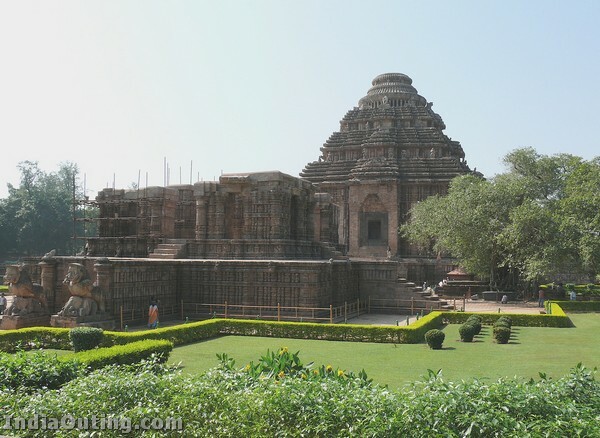 Konark is at a distance of 60km from Bhubaneswar and 30km from Puri and well connected to both the places. Conducted tours are available from Puri, the main tourist centre, covering the various important temples in and around Puri, Chilka Lake and Konarak. Konark is not only an ideal choice for monument, beach and scenic beauties but also for her colourful festivals. 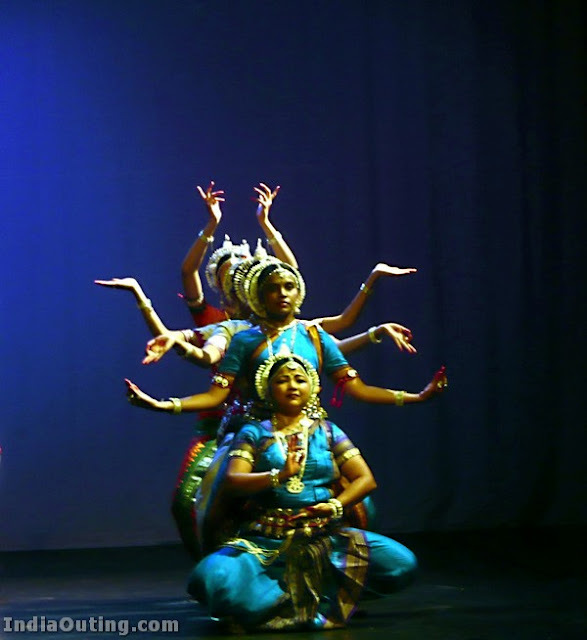 The Konark Festival held every year is a great attraction for cultural cognoscenti. The most popular and colourful festival of Konark, an occasion for a grand congregation of Indian pilgrims and enthusiasts from abroad, falls on the seventh day of the new moon of Magha. The Konark Sea Beach is at a distance of 2 miles from the temple. The Romantic Beach has the distinction of being considered as one of the finest beach in the world. 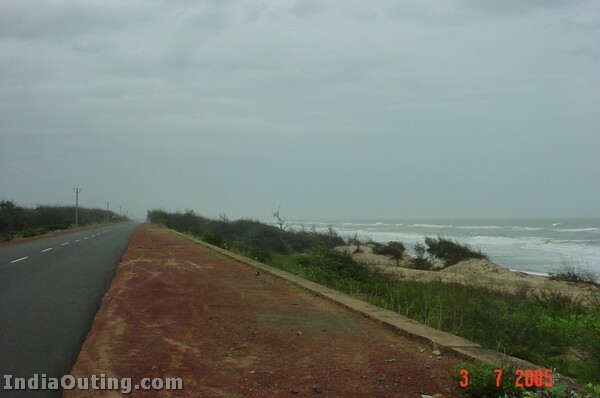 Quiter than Puri beach, it offers beautiful sunrise and sunset. The scene charm in a seclusion has made it the “Lovers Paradise”. The Beach is especially lovely early in the morning, or when it is illuminated during the evenings. MUSEUM : There is a small Museum outside the temple compound. Run by Archaelogical Survey of India, the Museum has an excellent collection of sculpture from the temple ruins.It remains open from 9.00 A.M. to 5.00 P.M. of Saturday to Thursday. Friday is closed. Entry is free of cost. 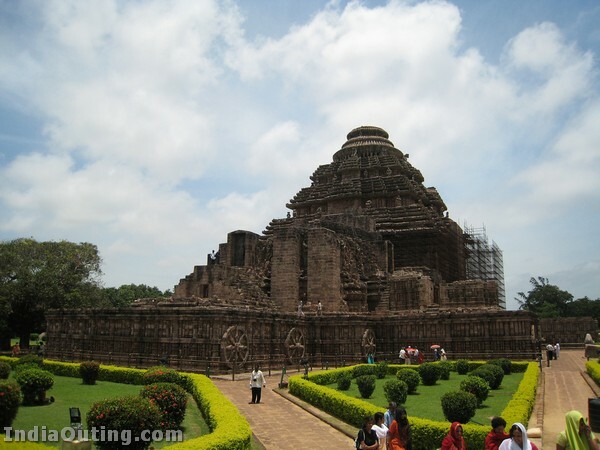 KONARK MATHA : One Math (monastery) is situated in south just close to the compound wall of the Sun temple. There is no deity and only Nirakar Brahma (or void) is being worshiped in the Matha. Sunya Sadhana or the contemplation of the Eternal void is associated with the concept of Budhism. Local people identify it as ‘Samba Ashram’, place where Samba had raised his hutment for worshipping the Sun. There is a Dhuni Kund (fire place) where it is said, the fire has been reserved undiscontinued since the beginning of the Matha. 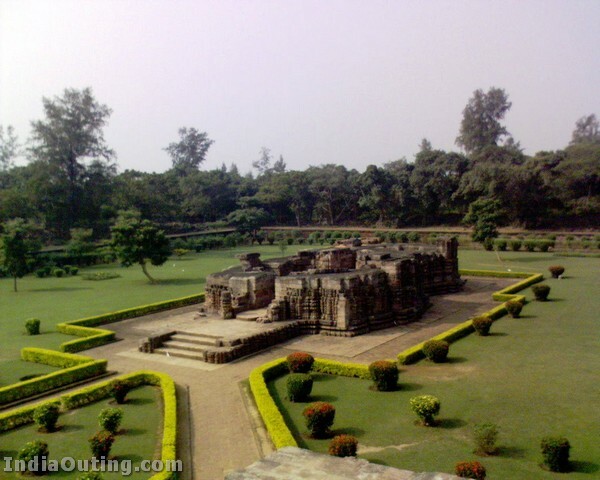 KAKATAPUR : Situated on the Prachi Valley 61 kilometers from Bhubaneswar and 45 kilometers from Konark, Kakatapur is famous for housing the shrine of Goddess Mangala and Ranadurga. 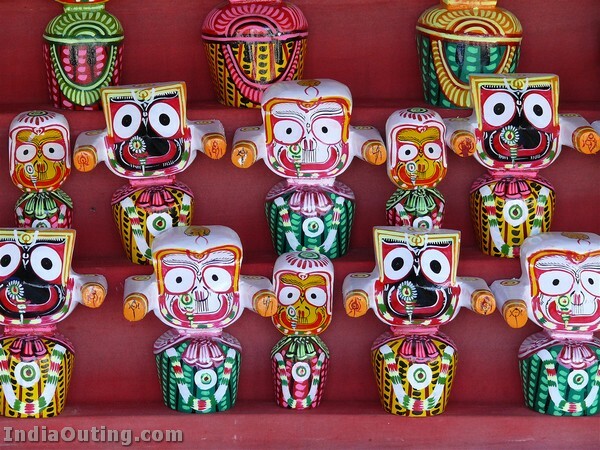 Ritualistically, Goddess Mangala is related to Lord Jagannath during the Navakalebar (Renovation Ceremony). The direction for locating the holy log which forms the icon of Lord is believed to come from Her. “Jhamu Yatra”, celebrated in the month of Chaitra (April-May) is the major festival is her. 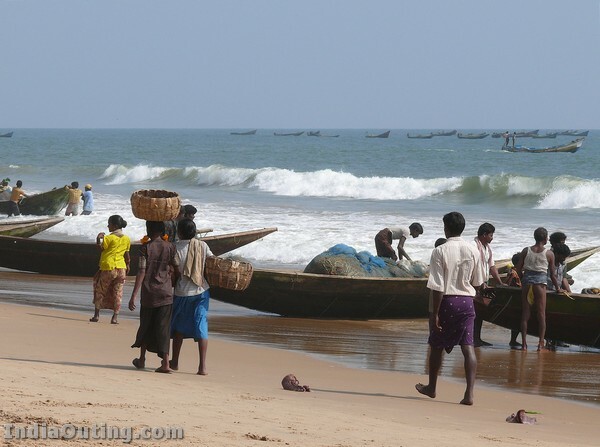 PURI : Puri, the city by the sea, is a major pilgrim centre in India. Adi Sankara founded one of the Peethas here. 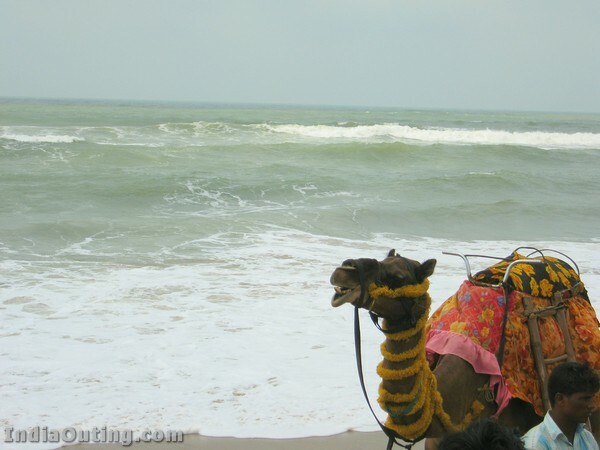 Puri is also famous for its golden Beach, idal for swimming and surfing. It is 35 kilometers away from Konark. BHUBANESWAR : Bhubaneswar, 65 kilometers away from Konark and the modern capital of the state of Orissa, has been a political, religious, and cultural center for more than two millennial. It is the arrival point for most visitors to Orissa, and with its excellent hotels, headquarters Tourist Department offices, and central location, it is an excellent base for visiting other parts of Orissa, as well as an engrossing destination in its own right. CHAURASI : Fourteen kilometers from Kakatapur on the way to Konark one can visit the shrines of Amareswara, Laximinarayana and Barahi at Chaurasi. To be visited this Anicent Place. 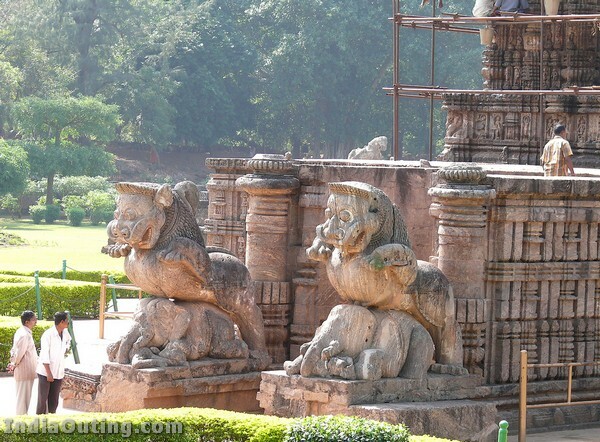 This help to know about Sun City Anicent Temple and its surrounding Too. Thank you fort this info. Its really amazing . 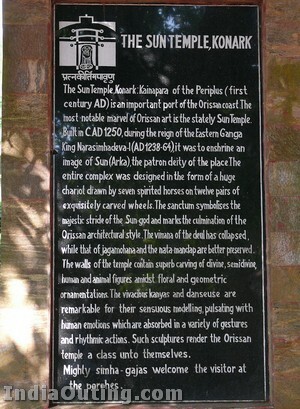 Useful info regarding Orissa especially Konark. It’s really a useful information for me as a research student. I would like to get permission to link up the page to extract certain information used here for non commercial purpose in my site. SunGod is symbol of Indians, Have a nice jurney ! Unbelievable,excellent,unforgatable photographs and fine detail information. thanks. Rajkumar&Aruna Saraf,Anupama & Rajiv, Moksha, Nivedita,Anand and Amit. 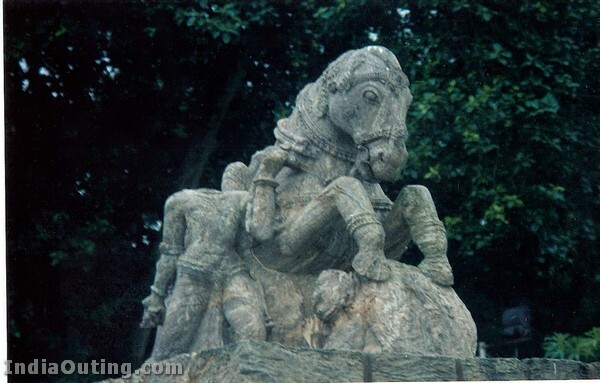 After seeing the detail photographs and information, I was in impression that I am visitin KONARK, really nice. 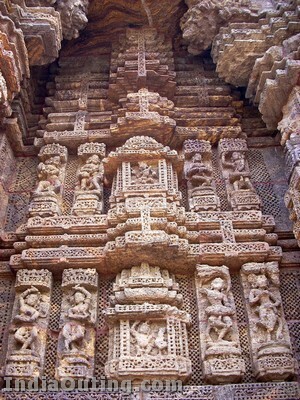 Though I’ve visited Konark, I had a feeling that I’ve missed a lot to see. It’a good photo foe me. I enjoy looking at it again, again, and again. Konark is very nice monument. But the thing is that we r getting fail while taking care of it.It should not happen. I am an Oriyan staying in Out of Orissa, but It is my request to The Trusty ,Plz take care of It. It is the proud of Orissa.We cant consider it in between 7 wonders of world.But we should try it. For that it should well maintained & first of all the culture. 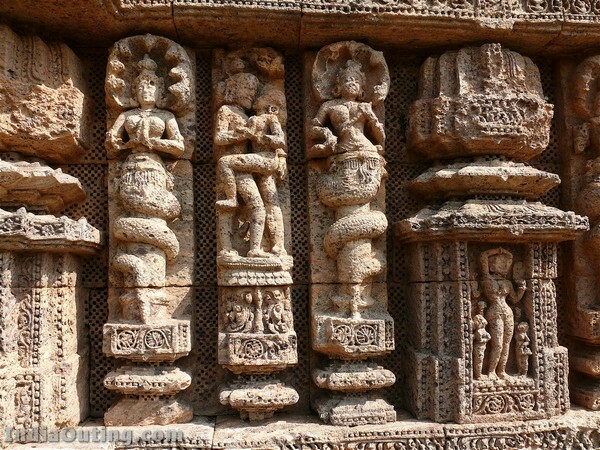 Save Konark, Save Oriyan Culture. but whenever i have visited Konark ,it has given me immense pleasure. very intresting information .please send the entire temple photos of inner & outerside. please show the phtos of lord jaganath. These pictures represent the true soul of India whether it is religious and whether it is tourism. it is very intresting and will be try to safe our indian monument by us. 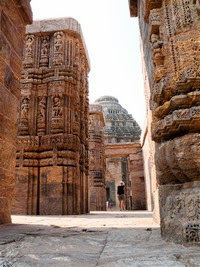 i am oriya and i feel very happy by seeing these temples of orissa in the net. thanks to the organiser. so nice.im very happy and exiting.and am very proud of india is our contry. info very crisp and to the point. good.will mail after visiting the place. Above 41 appreciations are good. But we should think compulsory that in present situation no one is caring about our ancient art , no government is recognizing it as a professional subject. some courses have been implemented. But it should be given importance as equal as IT sector. No body will appreciate my words, i thionk. But it is true that all these cultural history will show how our Hindu culture was earlier. Forgetting of our culture is nothing but sinking of Hinduism. who will save it. Dear friends, don’t see these type of cultural photo’s or places as tourism spots of India. It is a symbol or symptoms of deteriorated conditions of our culture.,i.e, Hinduism. DO SOMETHING TO SAVE OUR OWN CULTURE. This is amazing. Very much proud to be an Indian. Must visit this place atleast once in life time. VERY EXCELLENT SITE . I LIKE THE SITE VERY MUCH. very intresting ,good information,good photography and thanks. i will rate it best in the world .see the cocktail of natural sea beach ,best sclupture in the world ,best handicrafts dancer all over the world come to stage to compite wirh the dancing girls encraved in stone .all of them have one purpose .to get your attention .what you need more . it is best place in the world. Very Intresting and truly beautifull. The archecture is out of world and incomparable. Beautiful images and wonderful history. I hope I can visit all this someday. Sigh. really this brings odia culture to the limelite of rest of the world. I’m realy greatful to you for this infos. marvallous fotos..plz upload some more….. I shall rate it best in the world .See the cocktail of natural sea beach ,best sclupture in the world ,best handicrafts dancer all over the world come to stage to compite with the dancing girls encraved in stones .All of them have one purpose to get your attention . what you need more . It is best place in the world. What a tremendous architecture of oriya people.fine mind blowing……. I would like to view all these types of fantastic photos of Great India.